Many people love Hot Winter Fun in Branson because it offers exciting attractions, spectacular shows, fabulous food, great shopping, cozy accommodation, and many great special events. As this winter event in Branson kicks off during the cold months of January and February, many of the visitors to this place are enjoying great lodging rates around the city and are entertained by world-class performers from some of many live entertainment shows. With the mild temperature during the Hot Winter Fun in Branson, this gives visitors the opportunity to experience a wonderful after-Christmas shopping, watch live entertainment shows, and much more. 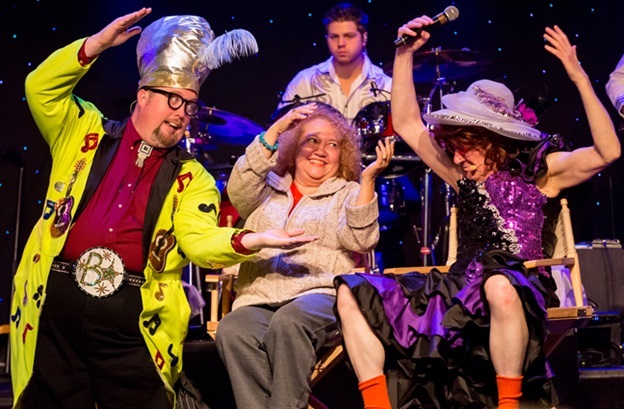 As the Hot Winter Fun in Branson kicks on the first day of January, you will get the chance to enjoy fantastic shows and attractions in the area including Comedy Jamboree, Grand Jubilee, Veterans’ Memorial Museum, and Inspiration Tower at the Shepherd of the Hills. Comedy Jamboree show features funny guys Applejack, Harley Worthit, and Stretch McCord; the Jamboree Singers; pianist Tracy Heaston; and the award winning Grand Band. For an amazing afternoon of hilarious comedy, floor-pounding, clogging and dancing to today’s country hits, Comedy Jamboree is a must-see show. Grand Jubilee is another fantastic show that you can enjoy during the Hot Winter Fun in Branson. From country and gospel music to decades of rock & roll favorites, the Grand Jubilee will surely surpass expectations of any age. Emcee Mike Patrick and Jamie Haage as Jim Danny will keep you absolutely tickled once they perform on stage. Having won Quartet of the Year, Branson’s Best Variety Show, Band of the Year, Comedian of the Year, Emcee of the Year, Piano Player of the Year, Fiddle Player of the Year, Bass Guitar Player of the Year, Drummer Player of the Year, and Guitar Player of the Year, it’s no wonder why Grand Jubilee is a show that many people love to watch. The Veteran’s Memorial Museum in Branson is one of the “greatest tributes ever completed to honor our country’s veterans!” This museum features a wide display of exhibits that cover WWI, WWII, Korean War, Vietnam War, the Persian Gulf, and all other recent conflicts during the 20th century. The great hall of the museum contains 50 statue sculptures. The wall that surrounds it features a list of over 400,000 names of the men and women killed in action during second world war. Throughout the museum, other walls contain the names of those killed in action during Korean War, Vietnam War, Desert Storm, and other conflicts of the 20th Century. The Inspiration Tower at Shepherd of the Hills is considered as Branson’s “landmark of the horizon.” The tower is a massive 230 feet tall building located on the Inspiration Point in the Shepherd of the Hills Homestead. The building features two glass elevators that transport visitors to the observation deck. The great views that you can see are phenomenal. People love to visit Hot Winter Fun in Branson because they still have the chance to enjoy fantastic shows, awesome foods, and wonderful attractions.